I have always liked New Year’s Eve. My mother's family was Scottish and made a bigger deal of it than Christmas. 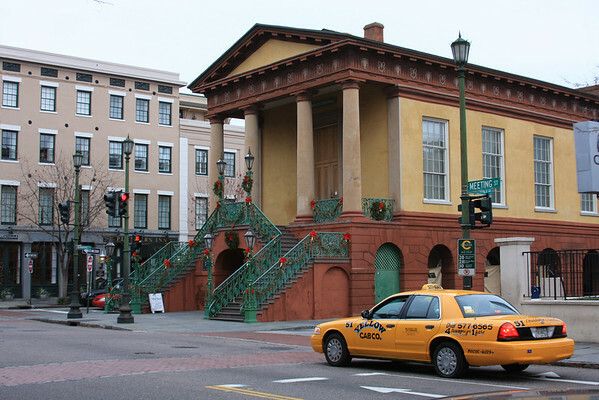 After my divorce I was so determined not to be sitting at home alone on New Year's Eve that I volunteered for the then active Charleston First Night Festival and the next year found myself on the board and Volunteer Coordinator for the event. I'd recruit hundreds of volunteers to staff the events all over town and spent the evening going from belly dancing to gospel singing checking on all the venues. By midnight I'd be freezing, exhausted and happy. Now I am completely content to socialize earlier and be safely home at the stroke of midnight. Forget Hoppin’ John, I like the Scottish tradition of the First Footer bringing good luck. The first person to enter your home after the stroke of midnight will influence the year you’re about to have. Ideally, he should be dark haired, tall and good looking,(well, yes!) and it would be even better if he came bearing certain small gifts such as a lump of coal, a silver coin, a bit of bread, a sprig of evergreen, and some salt. Blonde and redhead first footers bring bad luck, and female first footers should be shooed away before they bring disaster down on the household. Aim a gun at them if you have to, but don’t let them near your door before a man crosses the threshold. ......First footers must not be cross-eyed or have flat feet or eyebrows that meet in the middle. Now, how do I pull this off? 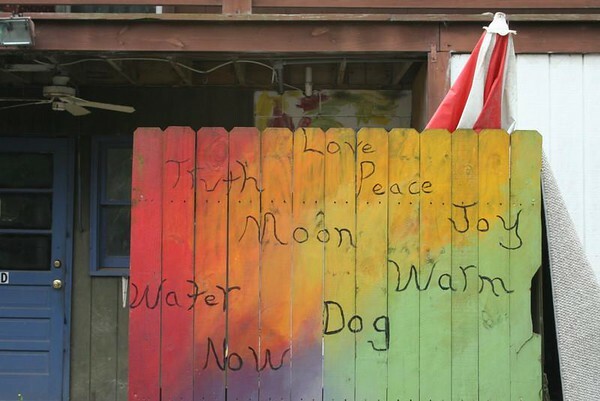 A sign on the street? Heheh. Another site allows that whiskey would also be a welcome gift. 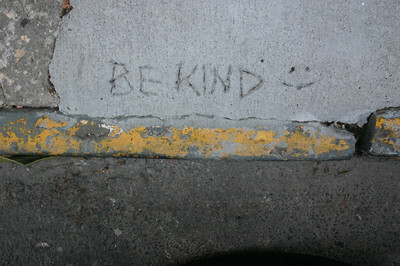 A whole new site with a whole new audience, who mostly haven't seen my world renowned collection of sidewalk graffiti. My head is spinning thinking of what to show first. How about this sweet piece from Smith St.? 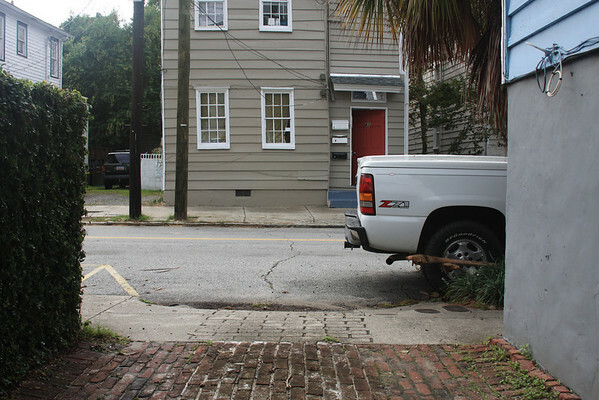 It is one of the first I took when I realized the wealth of material scribbled in Charleston's sidewalks. There are a couple others in the Be Kind series. I have no idea how that happened. Hmmmm. 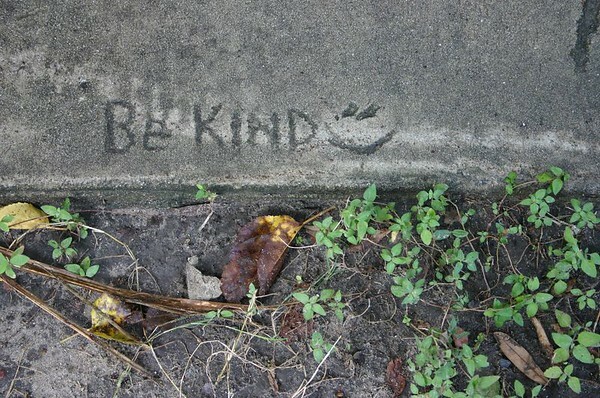 All things considered though, if you only have a few minutes to scribble something in wet cement and you happen to have a paint can opener in your pocket, Be Kind isn't the worst thing a person could write. 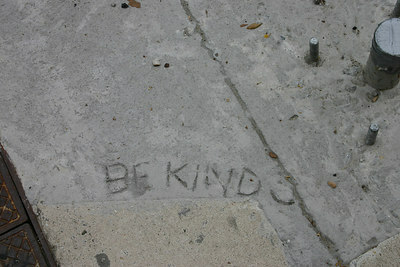 I'm afraid this isn't the last of the sidewalk graffiti. I spend more time looking at my feet than the sky. Food, food. I need food. Anyone got anything good cookin'? Oh! that I could have died for Ireland. Late September of this year I received an email from a gentleman in Ireland who had found one of my cemetery photo albums online. He loved what he had found, but needed a photograph of a specific tomb. He'd gone through all of my pictures and not finding it, wondered if I would mind tracking it down at Magnolia Cemetery and taking the picture for him. He was writing a book about a Captain John Mitchell who had died on the parapet of Fort Sumter during the bombardment in 1864. The book was ready to go to press that Monday except for a blank spot that needed a picture of our hero's tomb. Cool! A cemetery assignment. 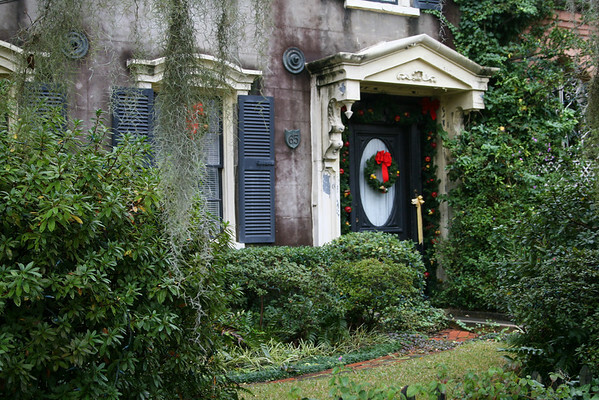 I tend to hang out at there anyway and Magnolia on upper Meeting Street is certainly a favorite. 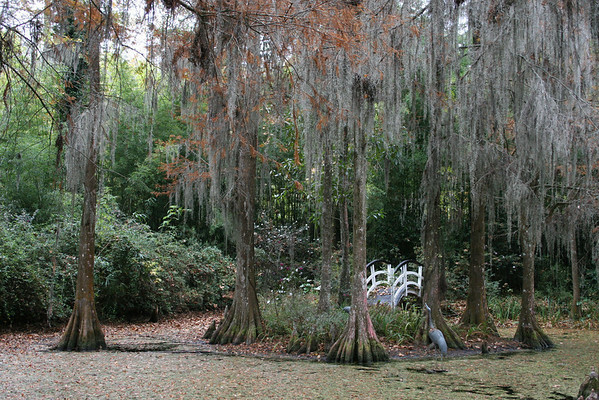 A friend who worked close to the area pre-scouted the location. 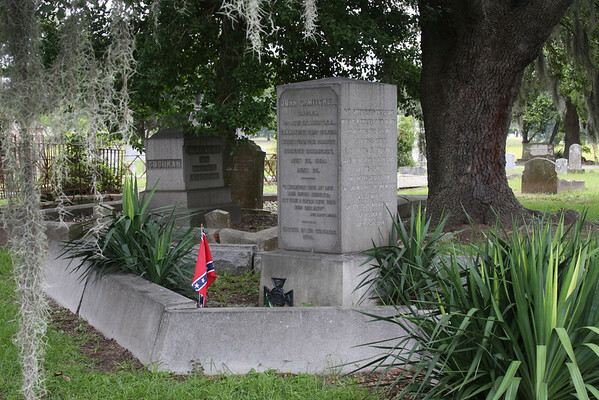 It was important to feature the coping around the grave that was designed in the shape of the parapet at Fort Sumter where Captain Mitchell died. 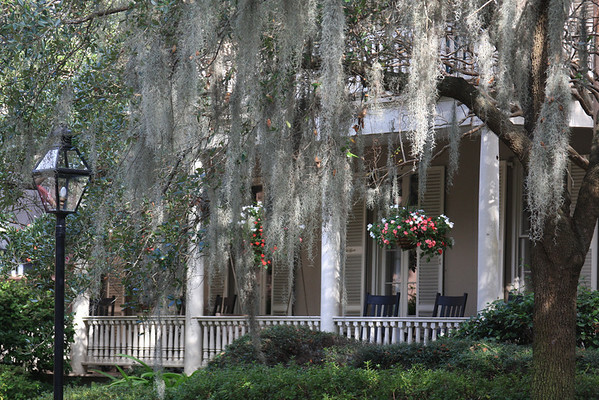 "I willingly give my life for South Carolina; Oh! that I could have died for Ireland." 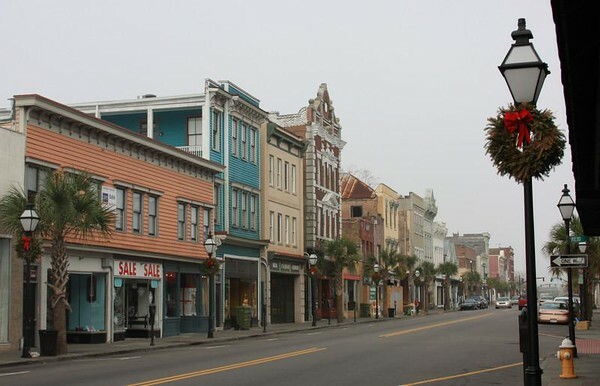 It was the day of the Lowcountry Heart Walk and as soon as I finished I went up, took the picture and emailed it to the author in the nick of time to get the book to his publisher. He wrote back thanking me and let me know he had made a $150 donation to my Heart Walk team in honor of his parents. So many delightful connections have come about because of the internet and blogging. Give a shy girl a digital camera and a mouse and there is no telling what might happen. It makes me feel very fortunate that this all technological progress happened in my lifetime. Okay kids. I had a peaceful day at worked but rushed home to meet a handyman who found the exact valve we needed to get my gas log fireplace working again. Bless him. 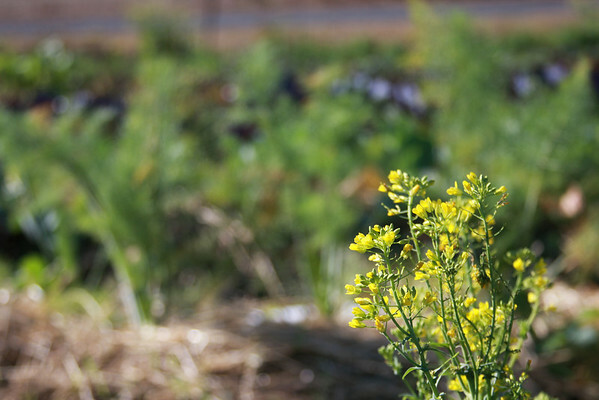 My friend Andre' invited me to see the farm where chef Sean Brock nurtures his heirloom seeds, grows fresh produce for McCrady's restaurant and raises pigs. 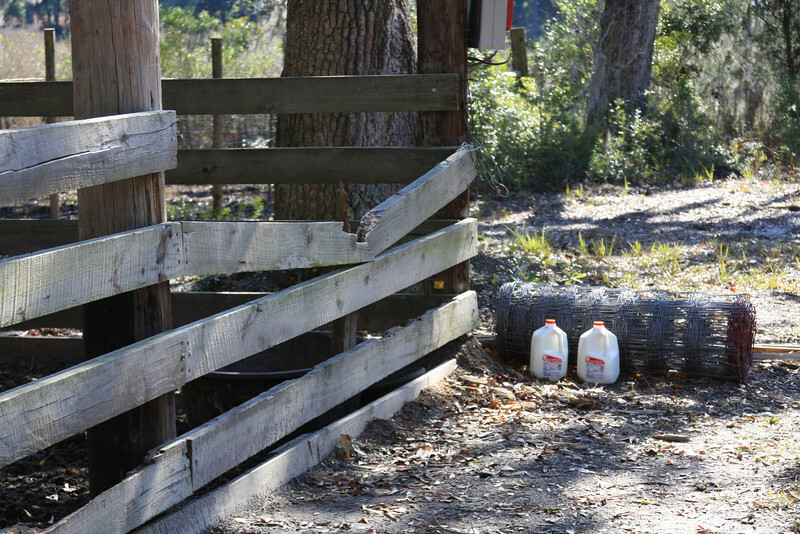 We headed out to Wadmalaw Island, stopping at the Piggly Wiggly on Johns Island for tea and coffee for us, and a couple gallons of milk for the famous piggies I'd been hearing about. The farm was cool. The day was bright and sunny. After we walked the fields we took the dirt road to the pig farm. The promised routine was that the pigs would hear the car coming and rush from the woods for their treats. There were no pigs anywhere. Not one. Andre' banged on the car to get their attention. We climbed over the fence and through the marsh calling for the darn piggies. Not a peep. Not an oink. Not a squeal. Stay tuned kids. One day I'll tell you the story about my elementary school teacher leaping out of the classroom window to save my five year old brother and his friends who had set the neighbor's thatched pig pen on fire smoking their first cigarettes in secret. It had become tradition on my previous blog Walk this Way to feature a Church Photo on Sundays. 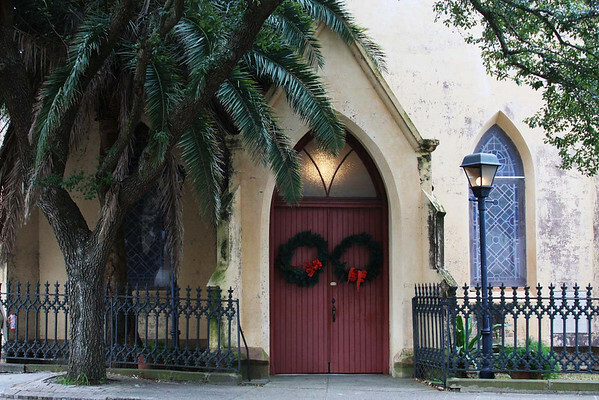 Today's featured church is St. John's Reformed Episcopal Church on Anson St. downtown Charleston. I meant to write more but came home to home maintenance issues. Later kids. I wonder if any local folks can guess the location of this mural? I bet something off this list of "Family Gathering Small Talk" comments will sound familiar if you participated in a family gathering of any size over the holidays. The Shoebox site has been making me smile lately. I finished painting my porch spindles today. Blah. Home ownership ain't all it's cracked up to be. Then I had to lay in the tub for half an hour to soak the paint streaks off. Luckily my hair is already white so no harm done there. I am going to treat myself to a downloaded episode of Weeds before bed. I watched season two over Thanksgiving and am dipping into season three this weekend. I'm a tea drinker from a long line of tea drinkers. I apologize to my dental hygienist for steeping my teeth in black tea all year and make her earn her keep. I'm not a connoisseur. I happily drink gallons of Lipton tea from a chipped black Pirate mug. When I dash into the Terrace Theater for my Friday matinee, Mike, the owner nods to his staff behind the counter, "Hot Tea. Black. Earl Grey!" People are finally catching on to the fact that I only drink black tea and I got a good haul this holiday season. I'm drinking Pure Ceylon English Breakfast this morning and have bags of loose leaf Assam and China Gunpowder to follow. Every once and while my sister Barbra tracks down a bag of Meghalaya Tea from the hills in India where we grew up. It has been so hard for folks to resist giving me herbal, floral, fruity teas that this entry by Denise at Uniquely Tea had me cracking up. This is a monologue from George Carlin's book When Will Jesus Bring the Pork Chops? "I would like to talk to you about fruit-flavored teas. These would be teas that are flavored like fruit. Fruit-flavored teas. You need to understand that. These are not fruits. They’re teas. But they taste like fruit. All right? They have names like strawberry kiwi, lemon berry, orange mango, wild cherry, blackberry and cranberry. They taste like fruit. And they sound like fruits, too, don’t they? They’re not. They’re teas. Fruit-flavored teas. And frankly, I don’t understand this. Personally, I’ve always been of a mind that if you’re looking for fruit flavor, if you’re genuinely interested in something that tastes like fruit, and you find yourself in the tea section, you’re probably in the wrong aisle. My advice is, if it’s fruit flavor you’re after, play if safe, go ahead and get some fruit. I have found in my experience that fruit almost always turns out to be reliable source of fruit flavor. Another good place you may wish to look for fruit flavor would be in fruit juice. Fruit juice is made by squeezing the juice out of the fruit. Apparently, the juice that runs out of the fruit has fruit flavor. Perhaps that’s why they call if fruit juice. It doesn’t taste like tea. For tea taste, you would need to get some tea. 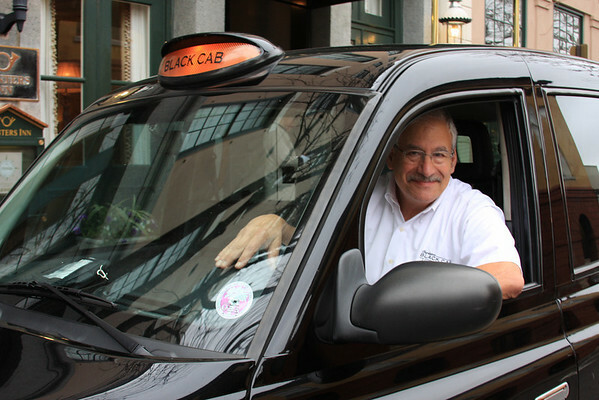 It's time to introduce the first Charleston British Cab to the daily photo site. I hope everyone is having a good day. I painted about half my porch spindles this morning because my old house is held together by 160 years of thick paint and needs regular reinforcement or it starts to fall apart. I washed off some of my paint streaks before I met a friend for lunch at Blossom and then slipped in a few shops on my walk back on King St. to see if things were reduced to free yet. I am liking this day off thing very much. Aaack! I couldn't believe my eyes. 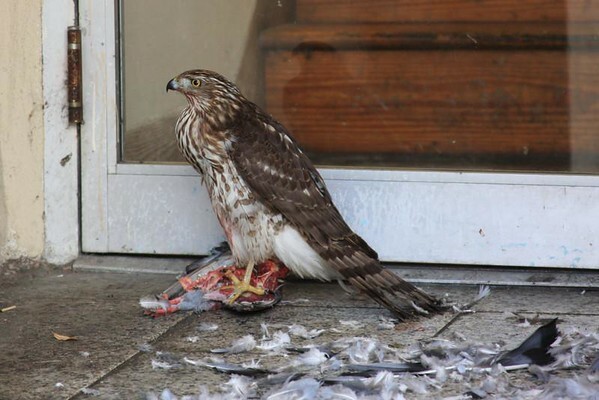 King St. was quiet on Christmas morning but it's still pretty nervy for a hawk to have a leisurely breakfast on the sidewalk in front of a store. He wasn't budging until he finished. Amazing. Why am I up this early with no kids in the house? Merry Christmas everyone! Hmmm. 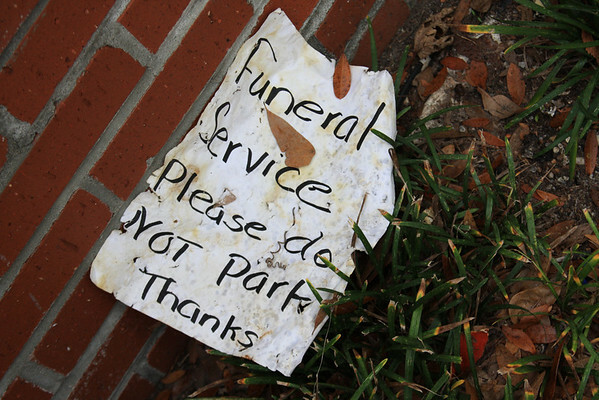 Would it be tasteless to post this as a permanent sign in my driveway? It might prevent this. I am a creative cook. I have a vegetarian and a meat lover to please. I'm starting off with curried zucchini soup, tomato and mozzarella salad, then braised lamb, scalloped potatoes, macaroni and cheese and a pear tart. Not traditional but what was requested. I see a nap after the airport run. I took this one a few years ago but am obligated to drag it out each holiday season. 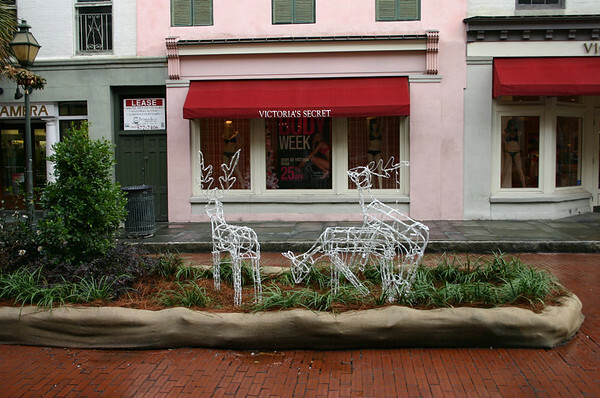 The risque display in the Victoria Secret Store clearly made the the reindeer wake up frisky. A photo catch like this is like a worm to an early bird. I am off until Monday. Wow. A rare treat. My daughter flies back to Portland this afternoon (sniff) so I have Christmas dinner ready for today. I won't be following the photo a day guidelines this week as I am busting with pictures to post. Thanks to everyone who has tracked me down! 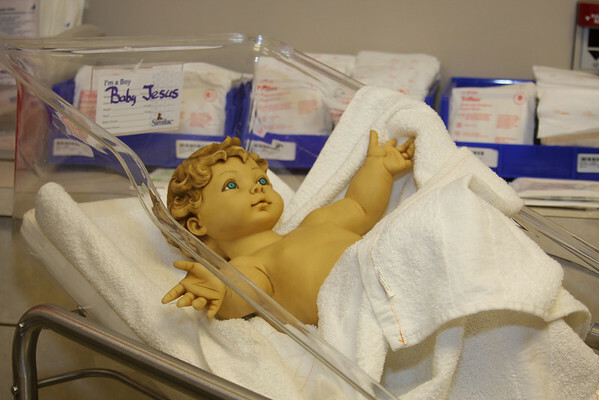 At midnight on Christmas Eve, one of the Nursery Nurses will carry baby Jesus out to the manger scene and lay him in the manger. Meanwhile he waits with the other babies in the nursery. Welcome folks! Leave me a note. Let me know you found me. First day and already breaking the rules. Posting two pictures on a daily photo site. Testing, testing. I've been wanting to join the City Daily Photo group for some time and will make my home here while Walk this Way is out of commission. Hopefully it will be up and running by week's end and this can be used just for Charleston photos. Meanwhile it will ease the blogging withdrawal pangs. 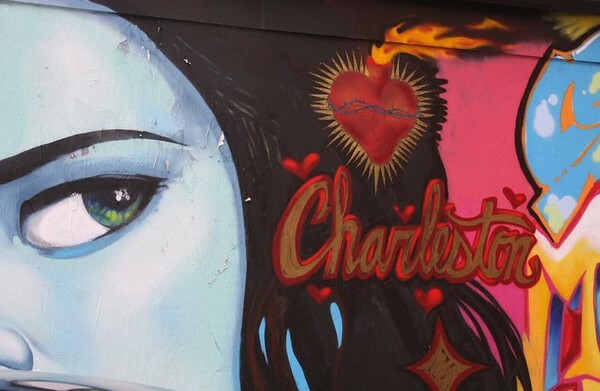 Thanks to "R" the previous owner of Charleston Daily Photo who turned it over to me today. Picture me blowing kisses!